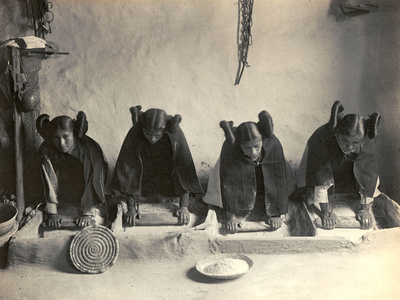 Curtis was an American ethnologist and photographer of the American West and of Native American people. 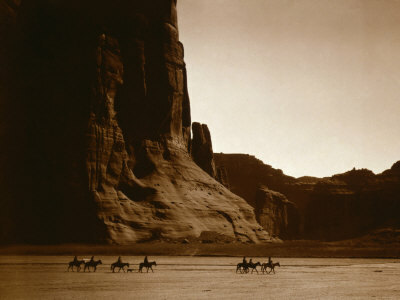 His images were my first introduction to Native American life, and life as it was in the old American West. Many of his images were romanticized, edited and retouched to erase the coming modern times, but these same images are also iconic photographs from the time period. 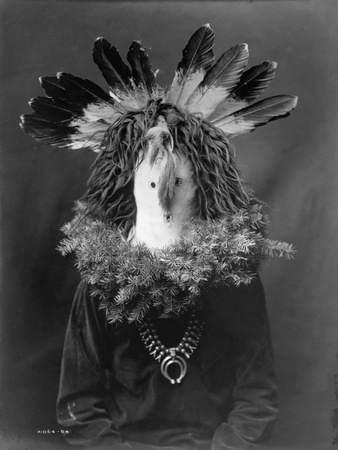 … In 1906, J. P. Morgan provided Curtis with $75,000 to produce a series on the North American Indian. This work was to be in 20 volumes with 1,500 photographs. Morgan’s funds were to be disbursed over five years and were earmarked to support only fieldwork for the books not for writing, editing, or production of the volumes. Curtis himself would receive no salary for the project, which was to last more than 20 years. Under the terms of the arrangement, Morgan was to receive 25 sets and 500 original prints as his method of repayment.